If you are starting or already running an online store, you must be ready to accept the fact that about 95 visitors out of 100 will leave your website without buying. What if you had the chance to reverse those losses and turn abandoning users into profits? With exit intent popups of Popup WordPress you can take some of customers back. Such a popup has been enjoying an increased popularity so far. It is seen by numerous merchants as a great way to retain customers. An exit popup is a notification that the user receives attempting to leave website page. Exit intent technologies are based on cursor moving through the page. Exit popup appears instantly when a mouse cursor is leaving the active area of the browser. Exit Intent popup by Supsystic is the perfect way to get increase leads on website and get customers, who would otherwise never come back, on the hook for your services or goods. This is what designers fairly refer to as converting visitors to buyers. The Exit Intent Popup with a special offer catches customers attention in the same time they attempt to leave, and give the second opportunity to take their possession of attention . Thus the Exit Intent Popup WordPress plugin can make a visitor into a customer and improve your sales. Offer your visitors a Discount they cannot refuse. 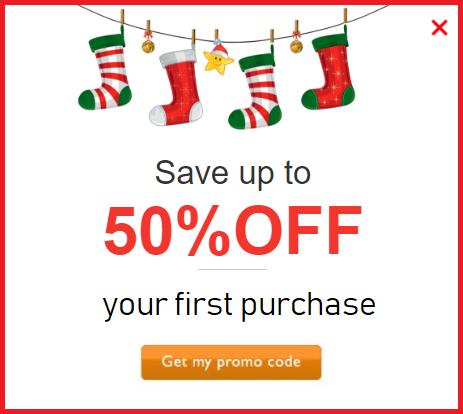 The added X% discount could make several items more affordable for the abandoning visitor. Add some pressure by making a Time-Based Offer. Give the impression to the visitors that they only have a finite amount of time to take advantage of a great deal, nudging them towards an impulse to purchase. 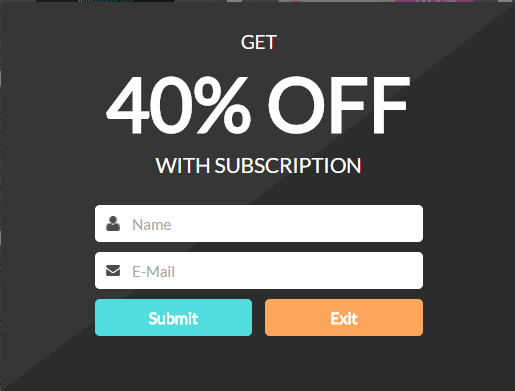 Combine Subscription popup with an added discount. You will kill two birds with one stone and increasing the likelihood that the visitor will enter their email addresses. Friendly Reminder. 70% of all the online shopping carts end up being abandoned. Many of the customers might have been really close to making a purchase. And some of them can surely be persuaded to finish what they once started. 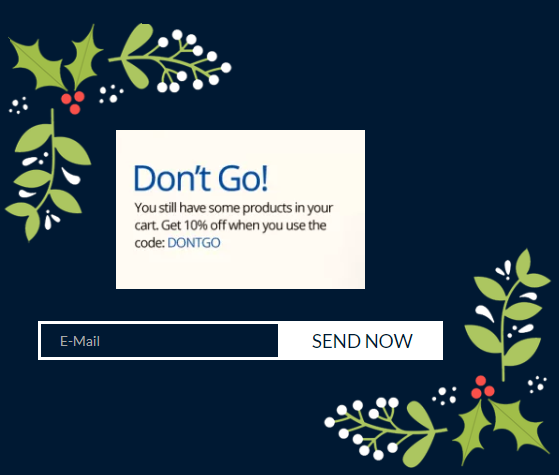 Exit Intent Popups can and should be used to convince them. Ask to subscribe to the newsletter. 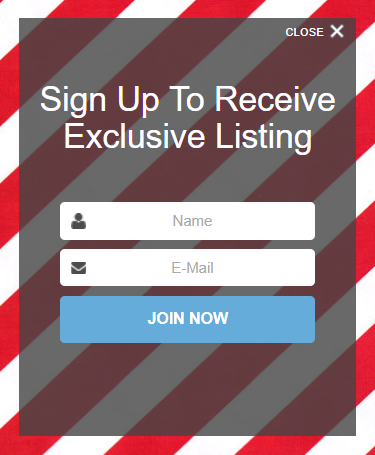 Repeat visitors and increase the traffic, regularly send out newsletters. Give visitors a chance to win something. 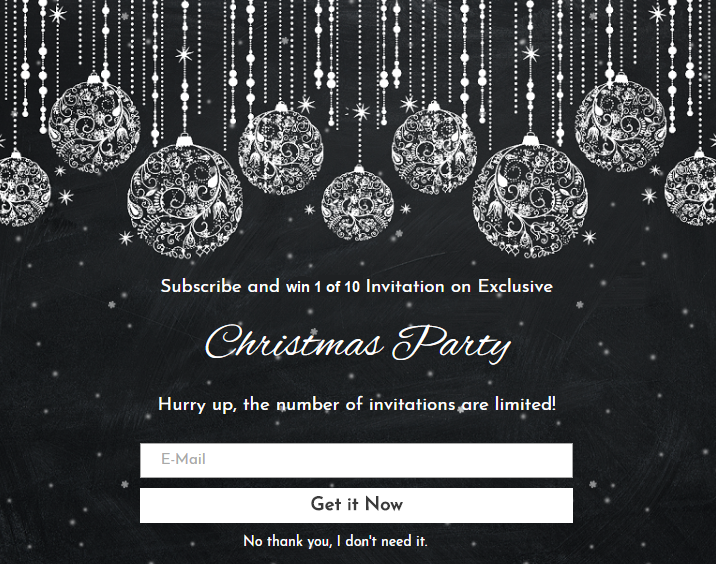 You could offer your customers a chance to win something in exchange for an email signup, instead of giving away discount coupons or free content. Note, that this feature is available only in Pro version of plugin. You can learn more about setting Exit Intent PopUp up by clicking this link.